A product customer profile is an essential document that should be used to define the target customer for a product. It’s more specific than a target market, or demographic; it is a single customer-centric exercise. The customer profile is composed of not only demographic information like age and gender, but psychographic and behavioral information as well. Having a strong product customer profile can also help guide other considerations, such as distribution channels, product experience and promotions. It’s much easier to make good decisions when you focus on your ideal customer. Understanding the customer profile is critical, as it can show how your product is differentiated from other substitutes, both direct and indirect. Knowing how and why the product is perceived as it is in the market can help you capitalize on advantages and improve drawbacks. Products can hit the market for one use, but that use can evolve over time as they are used by the marketplace. For example, Airbnb was founded as an alternative source of accommodation during large-scale events where lodging was scarce. Now, it’s evolved to an international hospitality provider for leisure travel, business travel and everything in between. For an accurate customer profile, research should be conducted and gathered to see how the product is perceived. Look for both industry insights and customer feedback and information. This can help show how use can change over time and if any changes should be carried out. This could mean the marketing and/or distribution around the product changes, or even a shift of product development focus. A company’s operations can also have an impact on perception. If the product is produced by a firm that makes a commitment to sustainable and environmentally friendly practices, for example, that can affect both how the product is seen and how the customer uses your product. 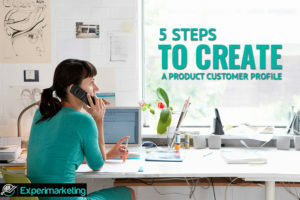 Now that the perception of the product is established, start with the customer profile itself. It may be easier to start with basic demographics — age, gender, income, occupation, geographic information and the like. Sometimes a range (ages 25-34, income of $40 000 – $55 000, etc.) will be more appropriate to use rather than a specific figure. If the product in question is primarily for B2B use, the customer profile defines the businesses targeted. How does this change the demographics? Looking at employee numbers, revenue, product and/or services provided and so on would be the equivalent to the basic demographic information. Who do they buy for? How does the product impact their lives? There are dozens of who, what, where, when, why and how questions that could be asked. What is important is to find the questions that are most relevant to the product. Once the information is compiled, the answers will shape how the customer is seen and the understanding is enhanced. This helps flesh out the customer profile even further. Now that the profile has accounted for demographic and psychographic data, take the research one step further and apply it to the product in question. How does your customer come to find the product? Why is the product chosen? It’s likely that you’ll get very different answers to these questions depending on whether the customer is new or returning. However, finding the commonalities can help improve the customer profile further as insights are gained into the thought process and experience of the customer. What made this product different from others in the customers’ mind? How does the product fit with the rest of the customers’ lifestyle? As your profile develops and is implemented, it is natural for it to change. Just like the customer, the customer profile is a living, breathing thing. It can change with trends, lifestyle or like other things, time. For sustained success, a product and its developers and supporters must make adjustments. Revisit the profile periodically and review. 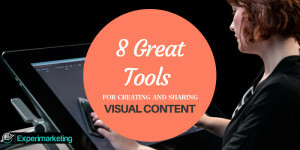 Make sure that it is still viable, even with after you have new insights or the industry changes. Continuous monitoring and improvement can help your organization consistently meet or exceed objectives and ensure success. Building a product customer profile can take time, and there may be a need to find new resources or routes to get the information you need. However, the better a customer is understood, the better a product can serve their needs, and the more successful the product will be itself. 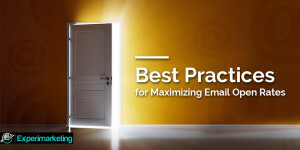 Learn marketing from the experts. 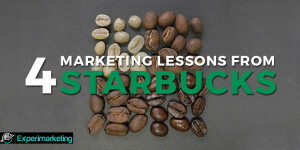 Download 24 Marketing Lessons from 24 Business Leaders. Get your free copy by just entering your email below! 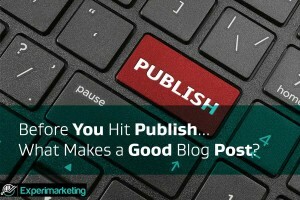 ← Before You Hit Publish… What Makes a Good Blog Post?